Bruno Mars and the NFL have confirmed he will perform at the Super Bowl in New Jersey next year and he is already very excited for the show. 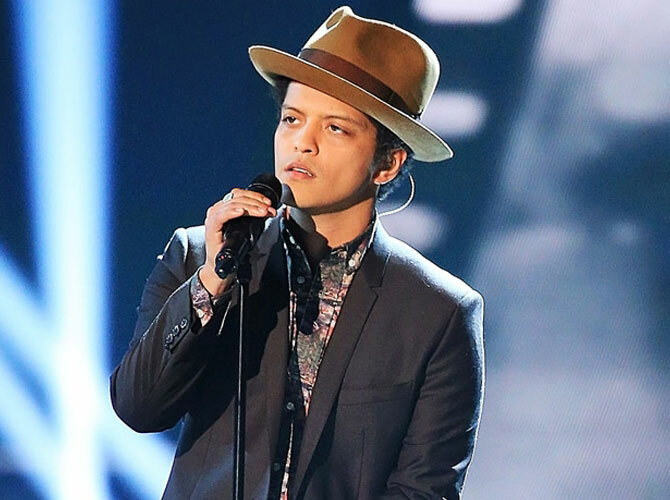 Bruno Mars can't wait to perform at the Super Bowl next year. The "Treasure" singer has confirmed he will be the musical act at the NFL Super Bowl XVLIII, held at the MetLife Stadium in East Rutherford, New Jersey on February 2, 2014. "#Hooligans we did it! (Sic)"
The NFL also officially confirmed rumors the "Locked Out of Heaven" hitmaker, 27, will perform during one of the biggest TV events in America, watched by an average of 114 million viewers every year, on Sunday. Super Bowl performances usually feature a number of special guests but it is not yet known who will join Bruno on stage. Beyonce Knowles performed at this year's event in New Orleans and was joined on stage by her former Destiny's Child band members, Kelly Rowland and Michelle Williams. Other past performers include Madonna, whose show proved to be controversial when special guest star M.I.A. swore by sticking her middle finger up to a live TV camera.